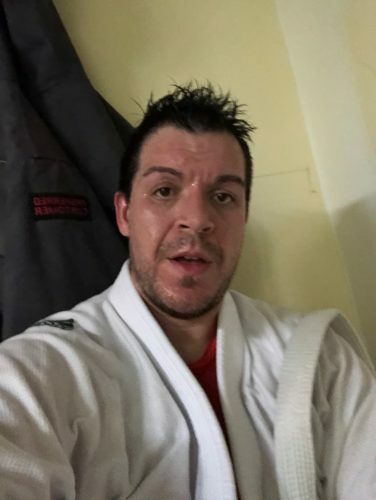 I’ve recently started training Brazilian Jujitsu again. 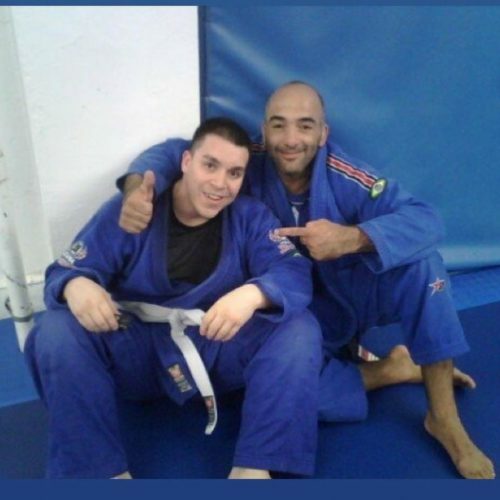 I have one blue Atama gi that I purchased the last time I was going to start training. I sold my other black, blue, and white gis. However, since I joined a school, I decided that I need a minimum two gis, so I purchased the Adidas Jujitsu Challenge Gi model JJ350. 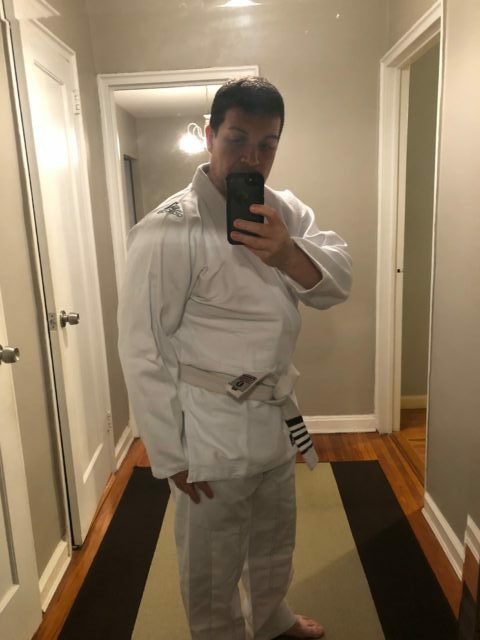 This choice was due to my buddy’s recommendation, he said and I quote, “This is the most comfortable gi I have ever had.” Those are some pretty powerful words, and I trust the guy, so I picked one up. I’ve rolled with it so far, and I do like it. It fits me much better than the Atama gi, and it feels much lighter. However, we should note that my Atama is a size A4, and this one is a size A3. Also, it should be noted that I did wash and dry this which shrunk it a bit more. I figured that it was a good idea, but I think I made the top slightly smaller than it should be. It is what is though, I like the gi. The fact of the matter is that I’m thinking of getting another one for myself. However, I don’t think I’d be training more than two days a week now, so I’m not sure if this is a good financial call. Also, I’d really like my next gi to be a black one. I’m not crazy about white gis as they show dirt and even blood more easily. Come on now, you’ve never caught an elbow to the face in training? What about torn up fingers from collar work? It happens. Anyway, those are the only reasons I haven’t bought another one. I still might, it’s a pretty good gi. I’m no gi expert, but given my brief experience, this one feels like a good one. I can’t speak to it’s endurance and longevity as I’ve only just started training, but it’s a strong gi. I was worried that I’d ordered a basic karate gi, but this is made for grappling. I can’t speak to the other adidas gis, but if you can get your hands on this one, I think you’ll be pleasantly surprised!